At a time when 24 million kids across America are growing up without their dads, David Hirsch and his 21st Century Dads Foundation have taken to the road for the inaugural Dads Honor Ride – a 21-day, 2,100-mile bike ride from LA. to Chicago concluding on Father’s Day – to provide the first such support local charities that help dads become more active in their kids lives. It’s an issue David has dedicated himself nearly two decades ago. He realized that children from father-absent homes are more likely to drop out of school, have problems with drugs and alcohol, get involved with crime and become incarcerated, become teen parents, have psychological problems and commit suicide. In 1977 David founded the Illinois Fatherhood Initiative, the country’s first state wide non-profit fatherhood organization, whose mission is connecting children and fathers by promoting responsible fathering and helping to equip men to become better fathers and father-figures. IFI has programs in schools, hospital, and workplaces across Illinois. And now the country is catching up with David’s vision. David is currently a director of the Barrington Area Community Foundation; a member the University of Illinois Foundation President’s Council, Union League Club of Chicago, Illinois Viper Club, Illinois CPA Society, AICPA, Theta Xi National Fraternity, the Ancient Accepted Scottish Rite Valley of Chicago, Chicago Police Memorial Foundation, Investment Management Consultants Association (IMCA) and PADI. He was formerly a member of Habitat for Humanity’s International Board of Advisors and a charter member of The Chicago Community Trust Young Leaders Group and Fund. His professional career began in 1982 when he obtained his CPA and worked as an auditor and then tax accountant with Price Waterhouse in Chicago. 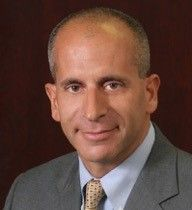 From 1985 to 2008 he has been a financial advisor with Smith Barney, Inc., where he was a Senior Vice President, a Senior Investment Management Consultant, and a member of the firm’s Chairman’s Council since 1990. He is now a Director at Private Banking USA, a division of Credit Suisse and a principal of the Hirsch-Kelly Group. Their clients include foundations, endowments, profit sharing plans. He was recognized by Crain’s Chicago Business in 1994 as one of the “40 under 40” and by Registered Representative Magazine in 1995 as one of the country’s “Outstanding Brokers.” In 2000 he received the John Stanford Education Heroes Award from the U.S. Department of Education. In 2005 the Illinois CPA Society recognized David with its Distinguished Public Service Award. In 2007, he was recognized as a Fathers of the Year, by Illinois Fatherhood Initiative. In 2009 he finished the Wisconsin Ironman Triathlon and received the Man of Distinction Award from Theta Xi National Fraternity, the 2nd person in the fraternity’s 145 year history. In 2012 he co-founded TEAMDAD, a social business venture, and was also a recipient of the Ellis Island Medal of Honor. David Hirsch is truly a national parenting issue leader, a respected advocate for increased family connections and an innovator in developing for programs that support deeper father involvement throughout the U.S.
And amidst all this, he is able to get the wheels turning even faster on solving these challenges by riding 2,100 miles in 21 days! Visit David Hirsch for more information. This entry was posted in Award, celebrity, honoree, Recognition and tagged 21st Century Dads Foundation, Accounting, ceo, Chicago, CPA, Dad's Honor Ride, David Hirsch, Executive, Give Back, IL, Illinois, investor, member, President, Today's Honoree. Bookmark the permalink.